Cardbord, Packing tape and wooden sticks are our materials. The work is located in a place where culture meets nature, where the city hits the park or the forest. The work symbolizes a transition. 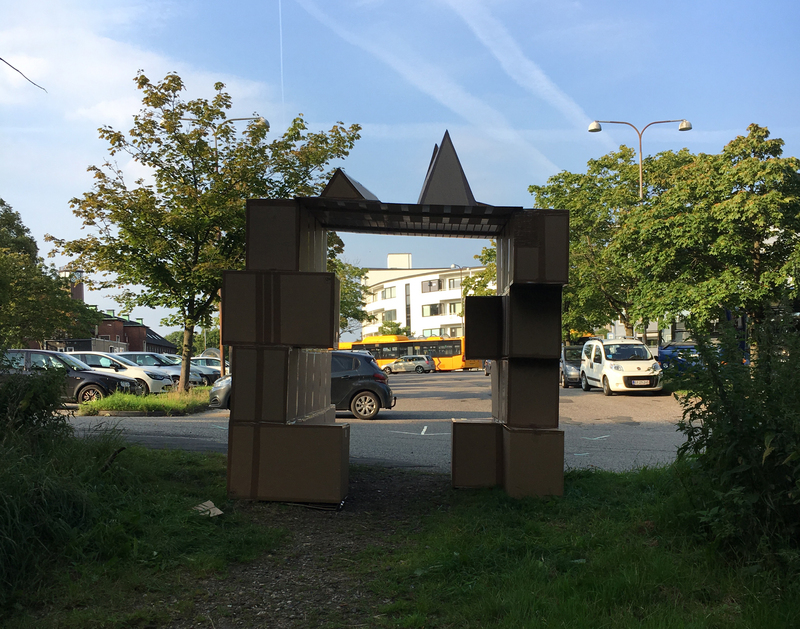 Made by Marianne Schneider & Annette Hornskov for the artfestival Trekantområdets festuge 2017. Below a few pictures of the works and of the process. A video-tour of the work in Kolding and Fredericia. In Vejle you will find it near Skyttehusgade in the beginning of Nørreskoven. In Kolding it is placed in Marielundskoven. In Fredericia it is placed next to the trainstation.